The Lord is King for ever and ever (Psalm 10:16). He is our spiritual King, all-knowing, all-powerful, and ever-present with us. But we can choose whether or not to welcome the Lord as our King. We decide whether to look to Him and bow ourselves down to His laws—His truths. The Lord’s laws have been given for our welfare and happiness but sometimes we want to make up our own rules. If we turn to the Lord as our King, He will come with His great love to save us. Like the crowds of people on that first Palm Sunday, we can rejoice, knowing that He will bring joy and peace to our hearts. Looking to the Lord as our King is a life-long process of learning His truths, trying to obey them, and wanting to do the Lord’s will. If we choose to make the Lord King in our lives, we will find ourselves blessed both in this world and to eternity. Each time we want to do the Lord’s will we are acknowledging that we want Him to be our King and to rule over our lives. We acknowledge the Lord as our King whenever we go to His Word to learn His truth, whenever we let that truth direct our thinking, whenever we want to do what the truth from the Word teaches, and whenever we actually obey that truth in our life. The Lord is the King of kings, for He rules everyone and everything. How can we go out to meet the Lord and welcome His coming as a king? The first thing the Lord said to His disciples when He appeared to them after His resurrection, was, “Peace to you!” The inmost element of blessedness is peace. 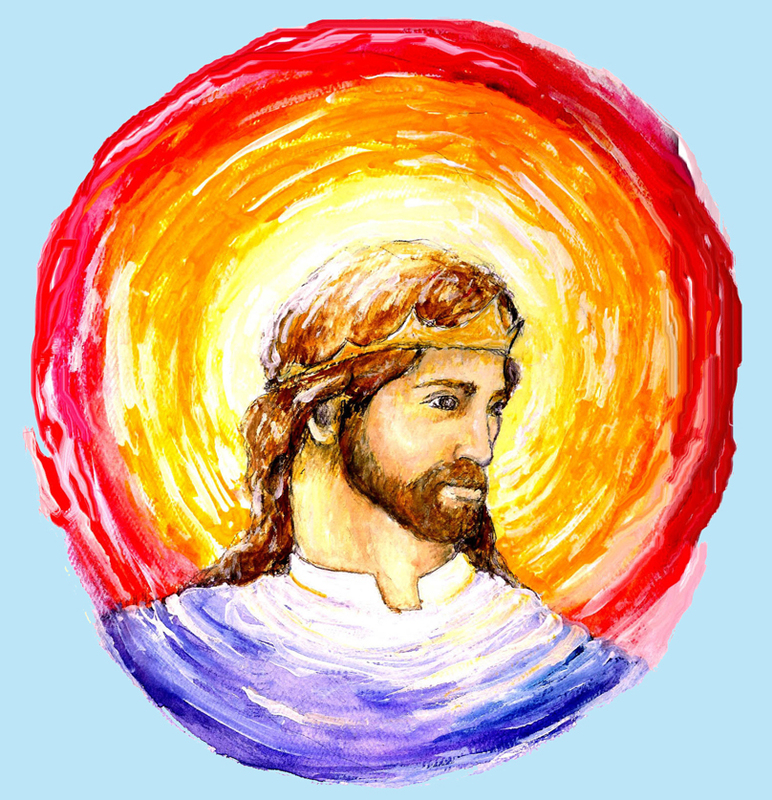 Make a picture of the Lord as King with a beautiful crown on His head and shining white garments. Make a doorway for the King of Glory! Help your children make a beautiful crown to put near the Lord’s Word. You may want to write a quotation on the crown. Psalm 47 is a song of praise for the Lord our King. Children will enjoy learning this psalm with hand gestures or musical instruments to praise the Lord. “Hosanna” means “Save us, we beseech You!” or “Save us now we pray!” Why do we need to ask the Lord to save us? Meditate on a verse from the Word and let it inspire you in a spiritual task. Cut out the bookmark to keep or share. Prayers for children on accepting the Lord as our King.